As would be expected of such a global and well established business as Schneider Electric, which can trace its roots back over 180 years, the company has constantly evolved its offering to meet the changing requirements of its customer base. 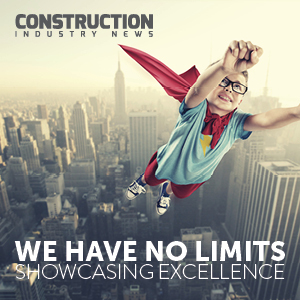 Construction Industry News recently caught up with Mike Bancroft, Marketing Development and Offer Manager, who operates within the organisation’s retail division, to take a snapshot of its innovative approach and get some indication of the reason behind its impressive longevity. As befits such a progressive company, Schneider Electric not only strives to keep a close eye on changing market trends, but helps to shape them too. “Within the residential marketplace we have seen an increasing demand for more decorative items, by which I’m typically referring to products with metal front plates,” adds Mike. “This is an area that has been very much in growth, driven by a desire by homeowners to customise their properties in a less conventional manner, as they move away from more traditional wall coverings and styles of décor. Despite being a huge multinational company, Schneider Electric’s organisational structure allows it to identify specific market trends before developing its range to suit. “We might be a massive business but we’re very switched on and engaged with both installers and consumers to ensure that we can quickly accommodate their changing tastes. The fact that we’ve been able to develop a wide range of alternative finishes is evidence of our capabilities in this area. “Whilst the look of a product is important, the other significant strength we bring to the table is the wealth of experience we have in terms of development and technical innovation. This is key as energy management is becoming all the more crucial and health and safety guidelines are being improved all the time, as we’ve seen recently with the release of the 18th Edition of the Wiring Regulations. “As technology advances it’s becoming less about selling individual items and more about ensuring that the products can be seamlessly integrated into a combined solution. This allows the customer to reap the benefits in the long term, rather than having to make continual upgrades. With the exponential rate of technological progression, the future is exciting as we investigate and develop the new products and systems we’ll be using in our offices and our homes in the future. What is more certain, however, is that Schneider Electric will continue to play a leading role in the development of those products and their installation, just as it has for so many years already.